Sumner Medical Law seeks compensation and justice for medical malpractice victims who reside in the states of Arizona, South Carolina, Georgia, Pennsylvania, Ohio, Arkansas and Maryland. Sumner Medical Law can also serve as a first-chair trial attorney in most other states through motion and association with local counsel. David Sumner is a catastrophic-injury attorney with over three decades of experience in protecting and asserting the rights of medical malpractice plaintiffs. 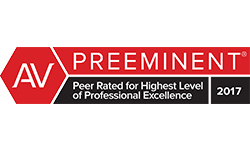 Mr. Sumner is AV® Preeminent™ Peer Review Rated by Martindale-Hubbell®, the highest rating available, for legal abilities and adherence to ethical standards. 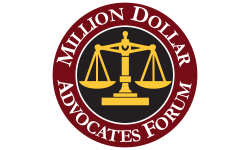 He is also a member of the Million-Dollar Advocates Forum, a prestigious group of trial lawyers who have registered million-dollar-plus verdicts and settlements; fewer than one percent of all U.S. attorneys are members. Mr. Sumner spent over 10 years as a defense attorney focusing strictly on medical malpractice litigation in the government and private sectors, gaining him substantial experience on “both sides” of these complex cases. Sumner Medical Law represents medical malpractice victims in a multitude of matters — with substantial experience in birth injury and pediatric cases, military and Veterans Adminstration (VA) healthcare malpractice claims filed under the Federal Tort Claims Act. 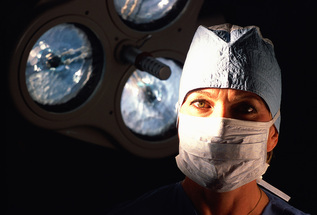 Medical malpractice cases can be complex and drawn out. Sumner Medical Law knows how to avoid the pitfalls of malpractice law and knows how to counter the obstacles that defendants will likely throw in your path. They examine medical procedures and call on a range of experts to support your case. Sumner Medical Law’s goal throughout is to keep things rolling as smoothly as possible by actively pressing your case. A more extensive list of the types of cases we can handle may be found on the Medical Malpractice page. If you’re the victim of medical malpractice, turn to a law firm that has extensive medical legal experience, keeps informed of the latest medical techniques and maintains a network of high-caliber medical expert witnesses. For a free 90-minute initial consultation, call Sumner Medical Law today at 520-254-5408.